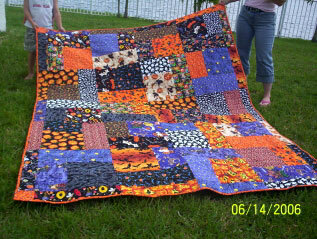 I just thought I would send you a photo of my first Turning Twenty quilt. I made this while my husband was over in Iraq and after I made that one I just had to make more. I love how easy the pattern is from cutting all the way to finishing the quilt. Hope you enjoy, I know I will enjoy making many more.